A damn fine folding knife for demandig use. 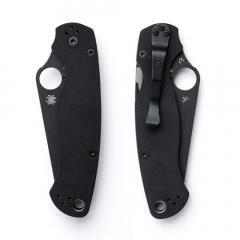 As the name implies the Para Military was designed with military use in mind, straightforward design and fantastic quality, these combined make this an extremely reliable folder for any use. 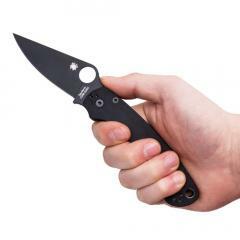 S30 V steel blade, quite possibly the best knife steel in the world. If you want a folding knife to serve you for the rest of your days this here is a good choice! Made in Golden, Colorado U.S.A. 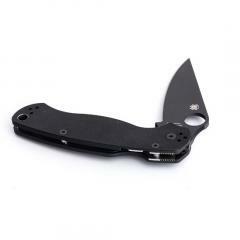 Extremely strong construction, high quality materials and thick blade with Diamond-Like Coating. Medium size, closed length a bit over 12 cm. Locking blade (Compression Lock mechanism) for user safety. 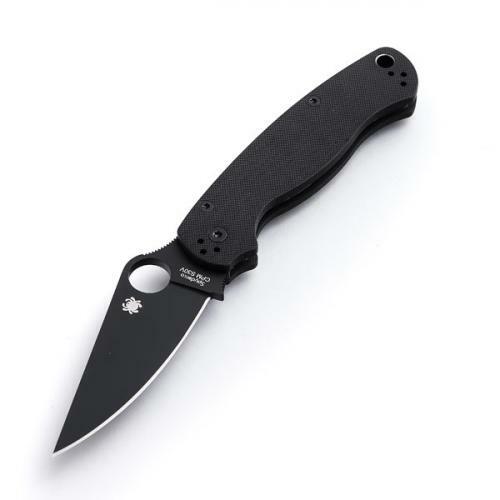 S30V steel is fantastic stuff, not cheap but worth the extra coin for those looking for the best performance available. Basically it handles like carbon steel, being easy to sharpen and having good edge retention but is still very resistant to rust like stainless steel. The good properties of both with none of the downsides!